Are your feet ready to dive into Russian folk dance? Tie up the shoelaces and ready to experience this very unique culture of the Russian folk dance. It is still one of the important cultures to a Russian. Many have claimed that folk dance was originated around 10th century ago. It was claimed to be initiated by the Slavic tribes who have settled in Russia. 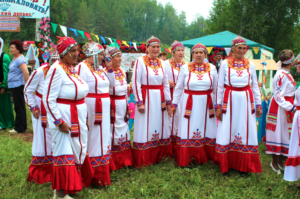 As many other more tribes settlement in Russia, a cultural blend has contributed to Russian folk dance. Dance routine was mostly enjoyed by the lower classes of Russian residents. Typically the upper classes of these residents would come and watch the performance, not wanting to participate in the dance routine. Not forgetting an important element to the dance are the costumes the performers are wearing. Costumes are beautifully designed with extreme detailing. Folk dancing was held for special events example holidays or festive seasons. Women dances would beautify their aprons, shirts or even wearing headdresses. Men, on the other hand, would suit up with narrow pants, and high boots. Red color, in particular, were chosen the most as it is considered the theme color for Russian tradition. Until today, Russian still carry the value of their folk dancing. You can still witness their dances in major festivals or country’s celebration. This Russian folk dance originated from its own word meaning of “landlady”. This dance combines chastushka and some elements of spirited dancing. Chastushka is a traditional folk poem. No particular sets of choreography arranged for this dance. A typical movement for this dance was stomping and squatting together with reciting the chorus of the song or poem. The refrain of the song was catchy with lyrics on “landlady, landlady, madam-landlady” repeating on it. The Komi peoples originated from north European Russia and stretch till northwestern of Siberia. Komi people blended into Russian values. It was also incorporated into Komi dance. Still holding “Uralic” language as a domestic language at home. It well dwelled into its traditional Komi dances and songs. One of the ethnic in Russia, the Tatar, have a fair population today at around 5.5 million. Tatar ethnic have a history with Turkic descendants. Tatarians was well spread throughout Russia and Turkey today. Ethnic Tatar have preserved their language and culture which then translate and contributed to the traditional folk dance. The ancient Tatarian are capable in historical monuments and they have their own national ornaments. A major contributor of legendary Russian folk dance is the Chuvash people. Widespread of Chuvash people stretched from Volga all the way to the Siberia. They largely involved in Orthodox Christian. They are unique as they owned their own language which contributed mostly to their songs and dances. A minority but special unique ethnic in Russia is none other than the Kalmyk people. It has a blend of Mongolic culture. Kalmyk peoples settling in western shore of Caspian Sea. They believed dominantly influenced by Buddhism, they have developed a fascinating ancient culture. Oirats are the songs and dances that the Kalymyk Mongolic peoples have developed. Nearly every city and region of this magnificent place, Russia, has her own authentic style of dance (Tatar, Komi, Chuvash, Kalmyk and so on). The only way where you can experience these dances first hand is to visit Russia personally! Blend with the locals and let your feet dance with joy!